How many times have you heard or read this tip – ‘eat more fiber’? Hundreds of times by now, probably. But do you actually know why dietary fiber is so important for your health? In case you don’t here are the reasons and benefits. We’ll also take a look at the primary sources you can get dietary fiber from, the pros and cons to introducing it to your daily diet, and tips on how to make the change pleasurable. Dietary fiber is also known as ‘bulk’ or ‘roughage’ because it includes those parts of edible plants our system cannot quite absorb or even digest sometimes. Its opposite is represented by some other food components, such as carbs, proteins or fats. Our bodies are capable of breaking them down, digesting, absorbing, and using them later on. Dietary fiber, however, isn’t that lucky. Since we cannot digest it as we would normally do other foods, it remains intact after mastication and swallowing and passes from our stomachs into the small intestine, down to our colon, and it’s then expelled in the form of waste. Building on its solubility, fiber can be broken down into two distinct categories. Insoluble fiber – as its name suggests, we cannot process it. However, it still presents some advantages to us, because it helps everything we ingest move through the system. It also increases the stool’s bulk. Simply put, the bulkier the stool, the easier it is to expel. Therefore, if you struggle with daily constipation, irregular or watery stools, you will benefit greatly from insoluble dietary fiber. You can find it in nuts, beans, wheat bran, whole-wheat flour, and certain vegetables such as cauliflower, potatoes, and green beans. Soluble fiber – this one does dissolve, but in water. The result is a gel-like substance. It aids us as well because it lowers the cholesterol and sugar level typically found in the bloodstream. Soluble dietary fiber can be eaten via barley, carrots, apples, citrus fruits, oats, and peas. There are quite a few types of foods out there that contain both types of dietary fiber, such as beans and oatmeal. Still, if you’re planning on following a strict diet, you should know the amounts they come in vary from food to food. Also, to maintain a healthy diet, you should make sure to eat all kinds of fiber sources and not just one. It’s recommended by doctors you have at least one serving of food high in fiber per day. Your intake should, in fact, be greater than that, but not everyone can process so much fiber. There aren’t any major guidelines when it comes to your fiber intake, but it is advised you keep a balanced diet. You may also introduce some fiber into your system via supplements. What Are the Main Sources of Dietary Fiber? To find out which foods are the best dietary fiber source, let’s take a trip through the market and see. Bran is found in many grains, and it’s packed with fiber. Oat bran, for example, has dietary fiber that dissolves in water. Wheat, corn, and rice bran are chock-full of fiber as well, but it doesn’t dissolve. You needn’t worry, though, because it will work miracles on your constipation. The easiest way to include these healthy cereals into your daily meal plan is by sprinkling them over anything you want. Hot cereal and milk, cupcakes, muffins, pancake, mix them in when you’re baking bread, cookies, and moist cakes. They will give everything a lovely crunchy texture all the while helping you maintain a healthy lifestyle. As a matter of fact, they’re out, because that’s what they help you do. They are considered to be a magical fruit, packed not only with fiber, but protein, vitamins, minerals, and lysine as well. This is also the reason why so many traditional, indigenous meal plans never fail to include some sort of bean into the daily table spreads. However, since many people complain that beans give them gas and a certain level of discomfort translated into feeling bloated, it’s best to ease into a bean-based diet. One way of doing it is by slowly replacing meat as your primary source of protein with the delicious beans. Include them in casseroles, side dishes, dips, stews, soups, and salads. Berries are the stars when it comes to fruits because it’s difficult to find some that are better tasting, better smelling, and better looking than they are. Apart from that, they’re also very high in antioxidants and vitamins, by definition, which makes them a preferred food all over the planet. However, one mustn’t forget about their high fiber content. When considering the fiber-per-calorie ration, you’ll discover berries are one of the best ways to go. It’s not their flesh that is high in fiber, but rather their hundreds of tiny seeds. These are the ones that differentiate berries from most other fruits fiber-wise. You can enjoy berries all year round way you want – fresh, preserved, frozen or dried. Seeing as they are so delicious, they can be added to an entire list of both desserts and main meals. To pack as much fiber as you can into your daily meals, you need to shift your focus towards whole grains. What does that exactly entail? Grain is made up of three parts: the bran, the germ, and the endosperm. When grains are refined, the germ and bran are removed, leaving just the endosperm. However, seeing as all the nutrients, protein, and dietary fiber are to be found exactly in the parts we remove, it’s important you consume whole grains. Use them in salads, breads, doughs, pasta, pilafs, crackers, desserts, and snacks. They add a welcomed crunch and an excellent cereal taste. The dark green you see in many leafy vegetables and salads is the color of health. You already know they are immensely high in vitamins, minerals, and beta-carotene. However, you may not know how rich they are in fiber as well. Researchers have counted over 1000 species of plants that suited for human eating that have all these amazing attributes. While all of them are good for you, here’s a peek at the best: turnip greens, collard greens, mustard greens, spinach, Swiss chard, and beet greens. #6. Do you want to play some squash? Your answer should be yes because, as far as dietary fiber is concerned, squash is the game of the year. 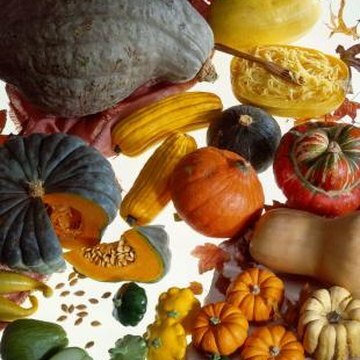 It is part of the gourd family and comes in an entire plethora of shapes, sizes, color, tastes, and flavors. All of them have vitamins, minerals, carotenoids, and, of course, fiber. This does sound lovely on a dinner plate. The best piece of news is that you can play squash like a fiddle and turn it into absolutely anything you want, food wise. Soup it, stew it, make side dishes out of it, delicious casseroles, salads, and everything else in between, and you will never run out of dietary fiber again. Who would’ve thought that the humble potato, the most wide-spread vegetable in the world is so rich in fiber? They represent the easiest and simplest way of introducing dietary fiber into your meals. They are extremely popular, cheap, and so appetizing, no matter how you cook them. Cooking tip – most of a potato’s fiber content can be found in its skin. Therefore, do not remove it when cooking. Wash it very well and leave it on. To make sure it’s not hard to bite into and it doesn’t feel a bit choky, boil all the potatoes before cooking them. This means boiling them before making French fries or baked potatoes as well. In this way, the skin will be so soft that you won’t even notice it’s there. However, you must pay attention to the amount of potatoes you eat. As you know, they are full of carbohydrates, which means they are not well-suited for a diet or a lean lifestyle. Their carbohydrate levels are off the chart, which means you have to keep your potato intake to just once or twice a week. The best fruit out there as far as fiber goes is the banana, but there are others as well. Some examples include the apple, the pear, dates, figs, kiwis, plums, and oranges. They all have very few calories, so you can enjoy them anytime you want, even as a supplement to one of your meals. Evidently, as with most diets, there is a debate going on around dietary fiber as well. Some say it’s the most amazing thing since sliced bread while others don’t seem so sure and are reluctant in trying it. Let’s take a look at the pros and cons. Fiber helps your digestive system – there are millions of people out there that have trouble processing today’s foods. Most of our meals are made up of highly processed ingredients, with a very high sugar, salt, and oil content. We try to eat healthily, but the reality is we don’t always have control over what we eat, especially if we don’t have time to cook for ourselves and rely on restaurants and supermarkets. This is where dietary fiber comes in. No matter what we eat, it makes sure we expel it. Dietary fiber lowers the cholesterol and sugar levels in the blood – this, in fact, means it protects us from possible diabetes and heart diseases. Fiber intake can, sometimes, cause some degree of discomfort – this is to say it can bloat us and gives us flatulent periods. It makes you thirsty and can even get you dehydrated, as the foods that are high in fiber absorb a lot of water. Dishes based on high-fiber foods are somewhat challenging and time-consuming to prepare. If you think about the fact that most high-fiber foods mean beans, cereal, and potatoes, you will understand why it takes some time to make a meal that is very rich in fiber. Go for food on-the-go – this means you can very well choose power bars and granola bars that are primarily made up of cereal and dried up berries. Be careful about the sugar content, though. Insert dietary fiber in other, tastier and easier to eat foods, such as yogurt, honey or even ice cream. When you buy your morning cereal, always go for the high-fiber ones. If you already consume healthy amounts of cereal every day, make sure they are all whole grain. As shown above, once processed, they lose the nutrient parts. Turn your baked goods into bulks of health. When you bake pies, cookies, muffins, cupcakes, cakes or brownies, always throw in a handful of whole cereal or berries. You won’t be able to taste them at all. In fact, you won’t even be able to see them. This is an extraordinary way of getting children to eat more dietary fiber. Mask it in sweets and cakes and they won’t be able to tell the difference. You can do the very same thing with vegetables. ‘Hide’ vegetables in different dishes, such as stews, casseroles, soups, mashed potatoes or sauces. For example, when making mashed potatoes, throw in a handful of boiled and strained peas. Soups are the perfect alternative to get away with all the dietary fiber you want, but so are sauces, salsas, and dips. Whenever you’re making a dip, add a handful of celery, a handful of beans, one of carrots, and one of boiled, diced potatoes. Once everything is smashed in and reduced to a creamy sauce, no one will be able to tell what they’re eating is actually dietary fiber. Eat as many fruits and vegetables as you can. As already pointed out above, the primary source of dietary fiber are fruits, vegetables, and cereal. Therefore, it only makes sense you add as many as you can to your daily meals. Dietary fiber is an excellent way to solve a lot of your health problems and keep even more of them at bay. 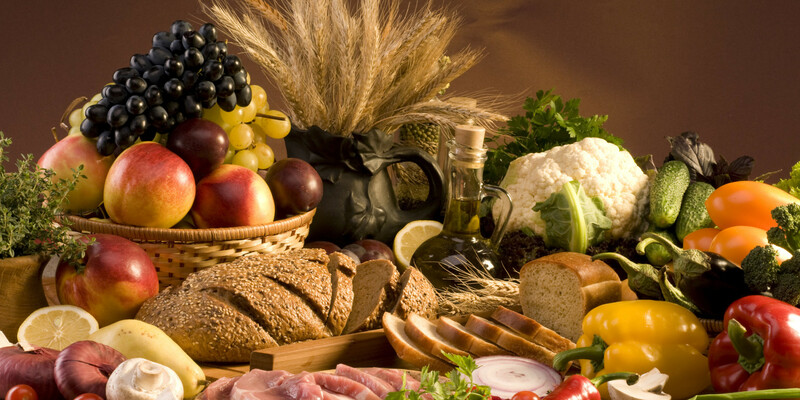 Soluble or insoluble, foods high in fiber are unquestionably the path to a happy stomach!